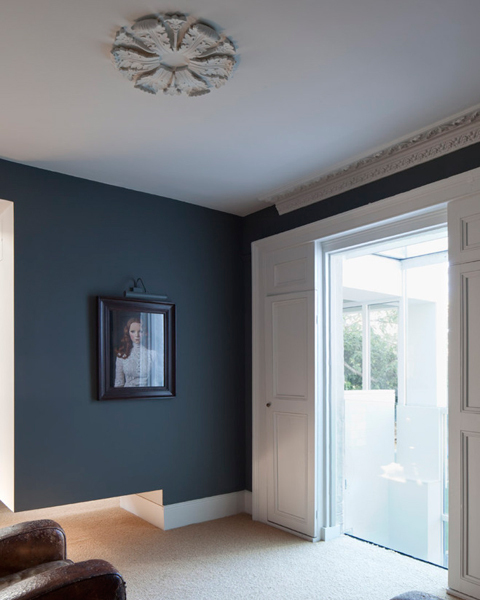 Ashton Porter Architects remodeled a Victorian house in Twichenham, near London. 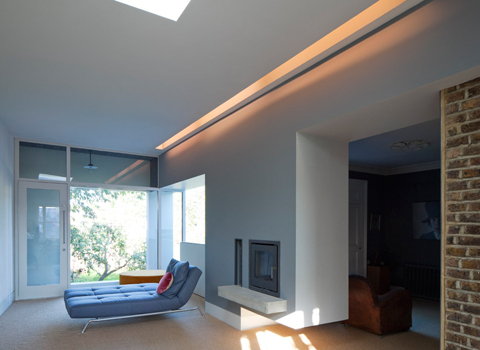 The remodelation also included the design of a new addition. 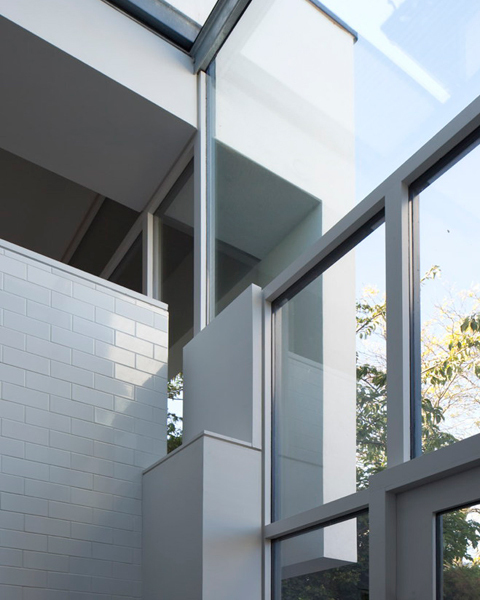 An imprint of the existing front facade of the house is relocated within a floating stainless steel frame to the front of a new side addition. 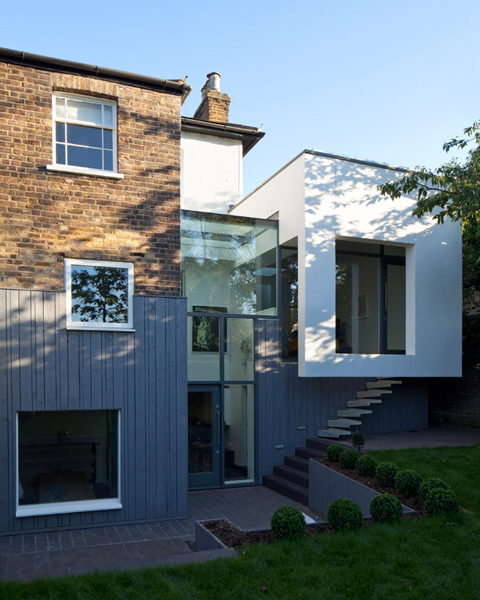 This floating facade is separated from both the new addition behind and existing house by a band of structural glass. 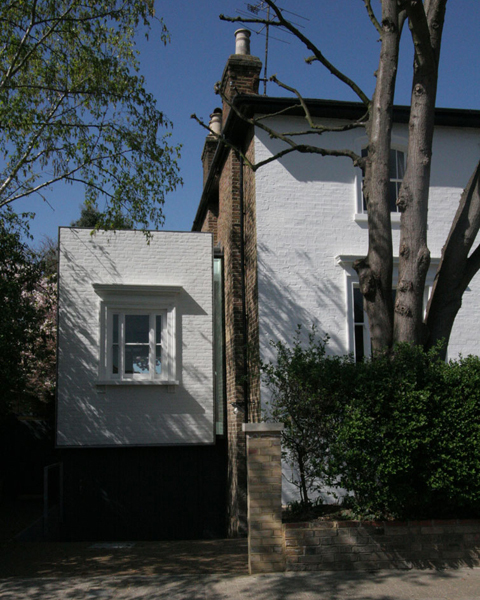 The new addition is characterised by its separation and glass connection to the existing building at both the front and the rear. The front facade to the side addition is a subtle framing of the existing building supported on a cantilevered structure with just two 12mm rods for lateral restraint. To the rear, the cantilever condition is repeated and is more explicit in its execution. 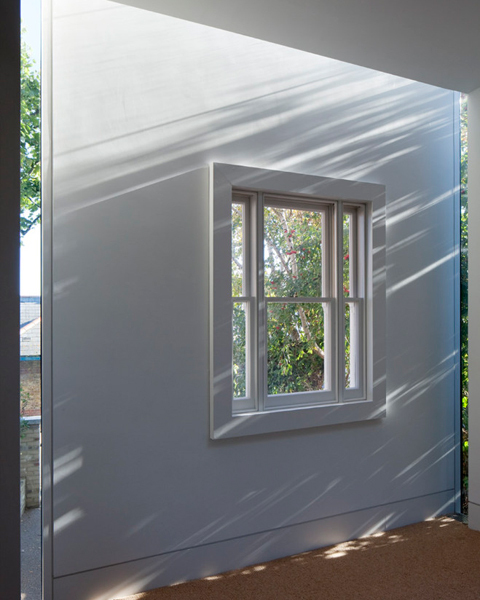 A new rear facade folds over the glazed void framing views into the garden. The facade hovers at first floor level unsupported by columns. 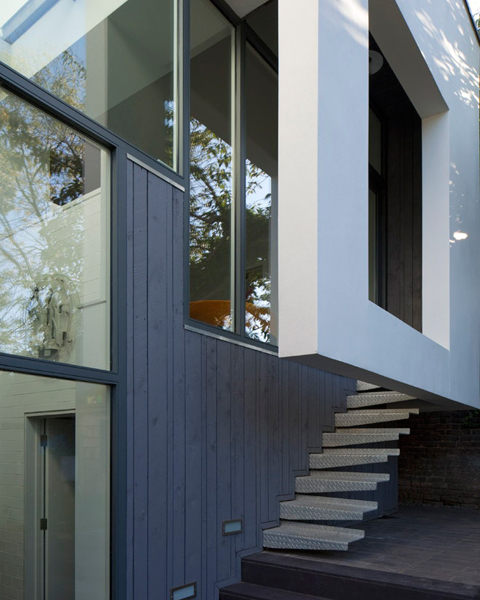 It cantilevers from the original house over the garden to create a protected steel stair which links the new living space to both the garden and the new kitchen and dining space below. The existing basement level is lowered at the rear to form a new dining and kitchen space. 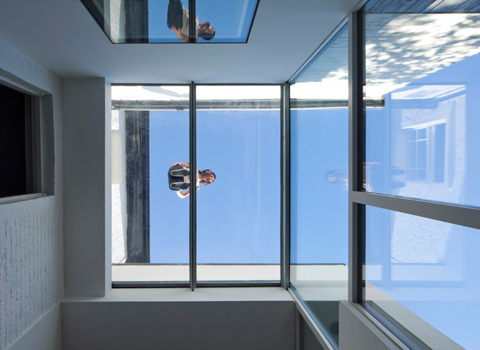 A double height glass void links the new side addition, new basement, a new study and the existing ground floor living space. 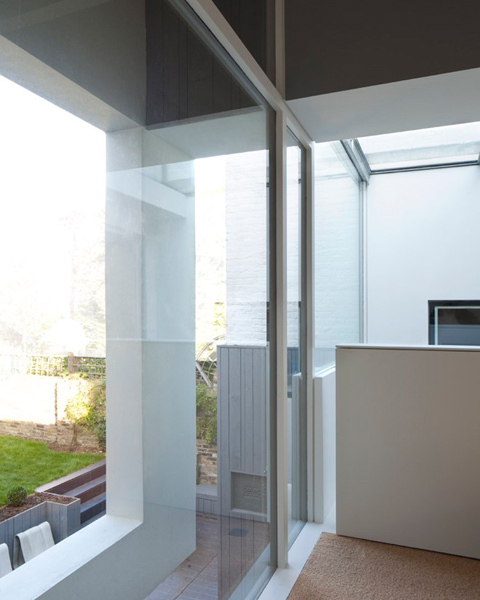 Each folds into the glass volume and has framed views either into or through it to the garden beyond.